The concept of One Person Company in India was introduced through the Companies Act, 2013 to support entrepreneurs who on their own are capable of starting a venture by allowing them to create a single person economic entity. One of the biggest advantages of a One Person Company (OPC) is that there can be only one member in an OPC, while a minimum of two members is required for incorporating and maintaining a Private Limited Company or a Limited Liability Partnership (LLP). Similar to a Company, a One Person Company is a separate legal entity from its promoter, offering limited liability protection to its sole shareholder, while having continuity of business and being easy to incorporate. Only a natural person, who is an Indian citizen and resident in India shall be eligible to incorporate a One Person Company. 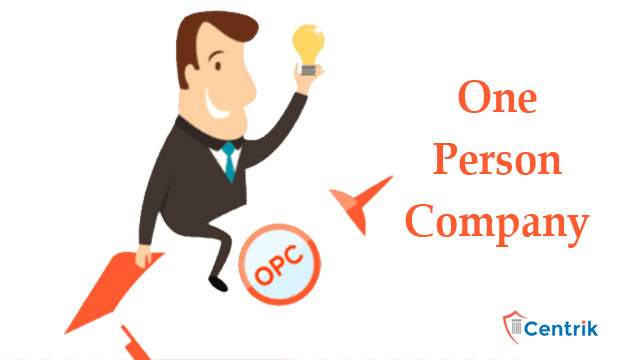 The One Person Company (OPC) was recently introduced as a strong improvement over the sole proprietorship. This person will be the only director and shareholder (there is a nominee director, but with no power until the original director is incapable of entering into contract). So there’s no chance of raising equity funding or offering employee stock options. Furthermore, if an OPC hits an average three-year turnover of over Rs. 2 crores or has a paid-up capital of over Rs. 50 lakh, it must be turned into a private limited company or public limited company within six months.